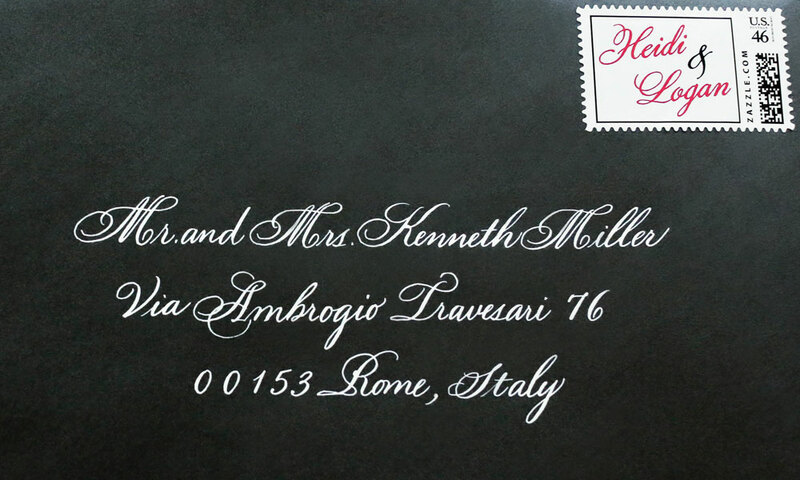 When a couple mentions their love for Venetian art and architecture, our creative ideas go into overdrive. 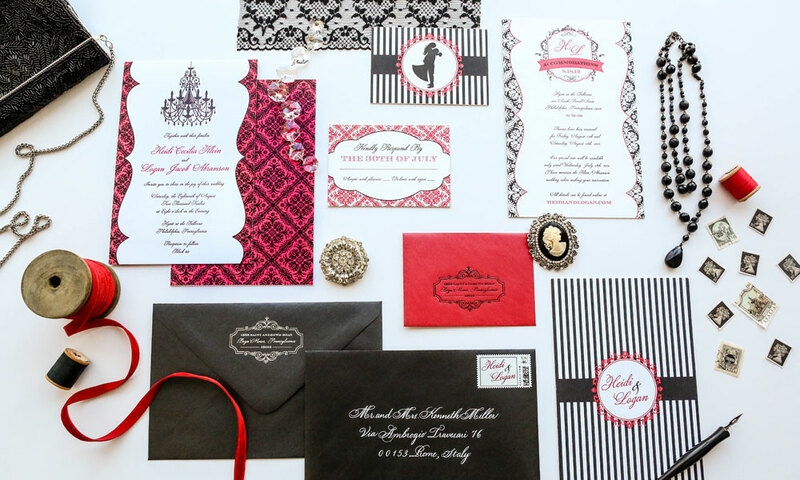 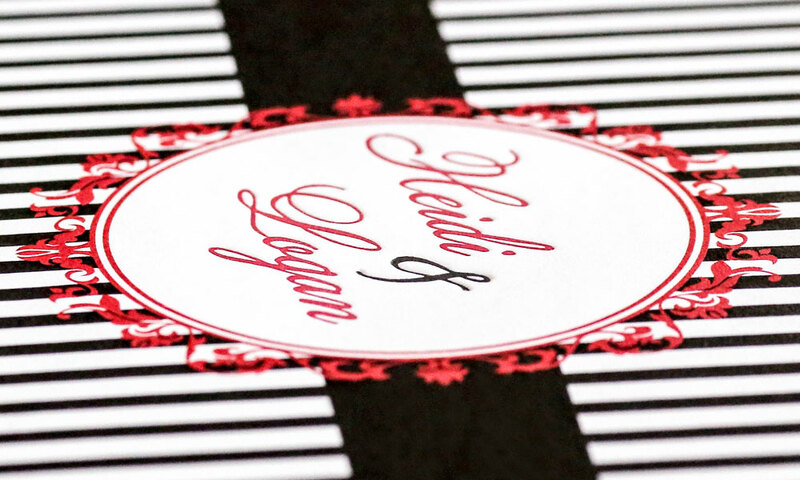 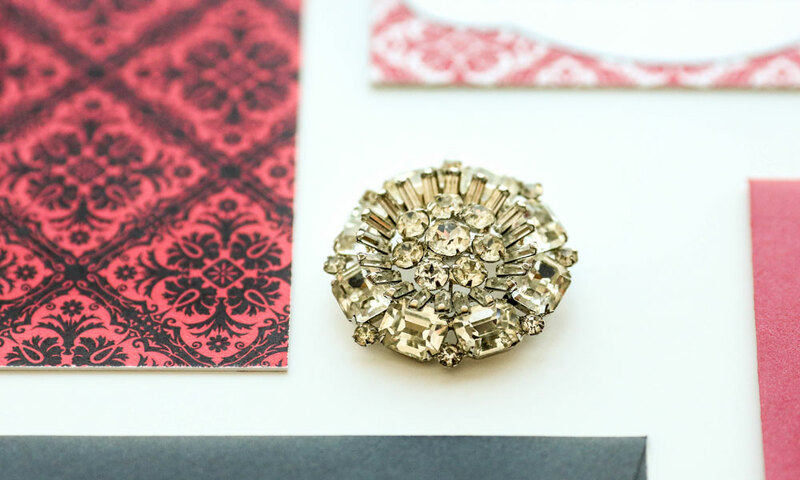 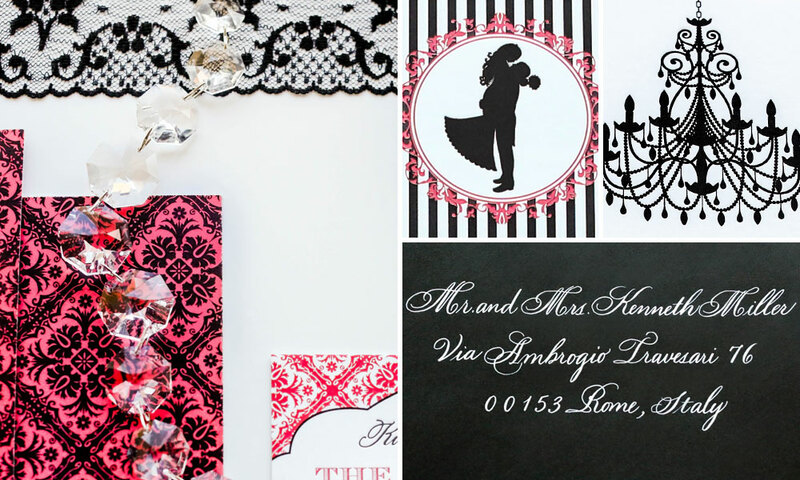 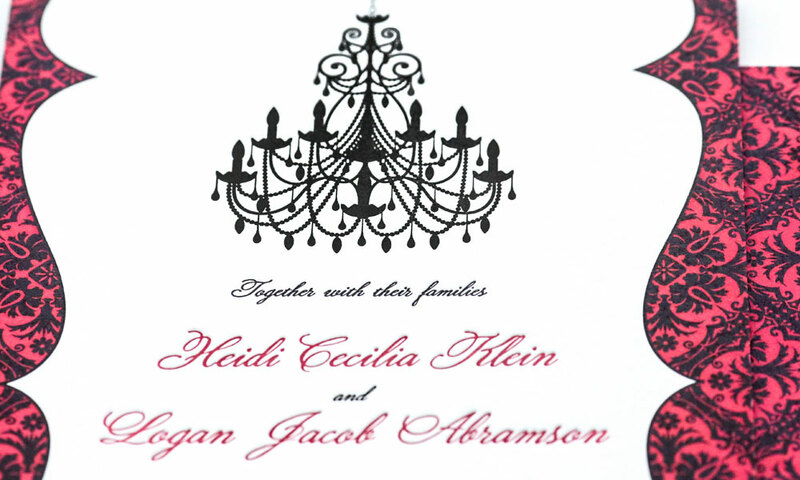 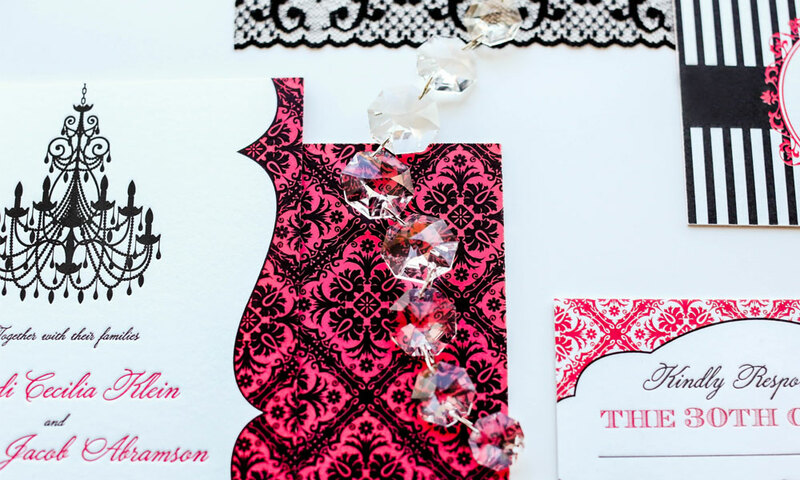 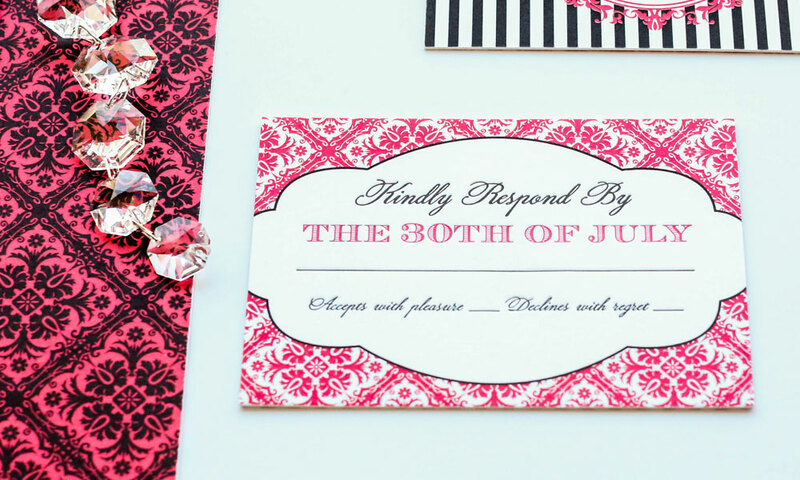 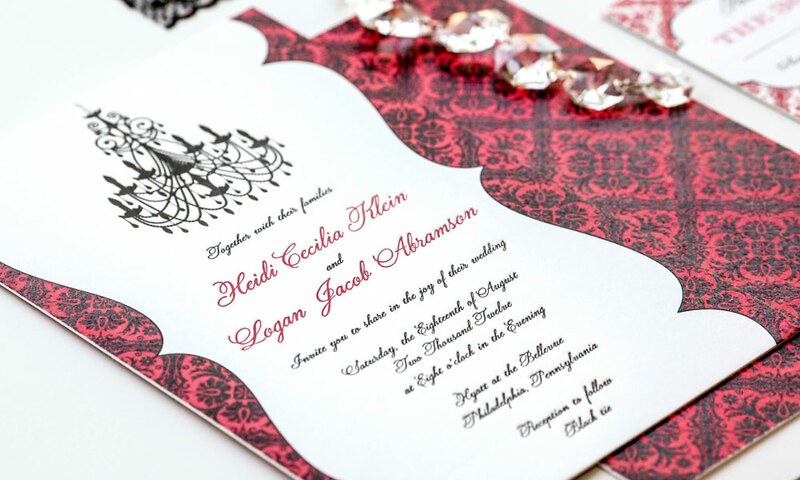 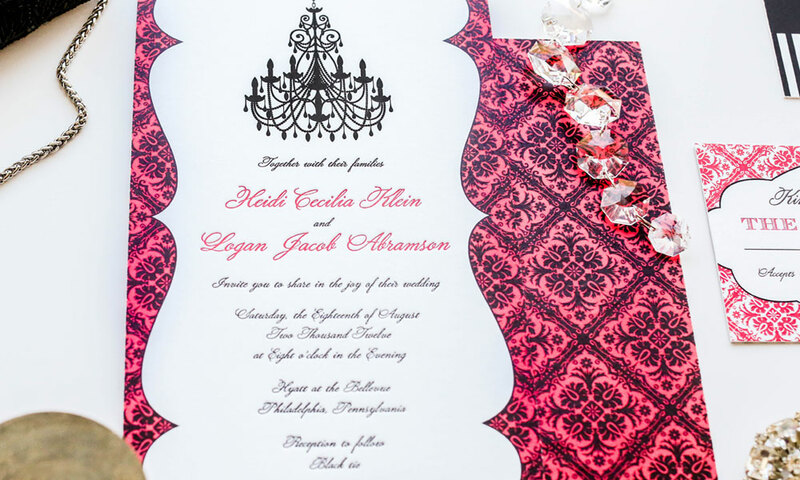 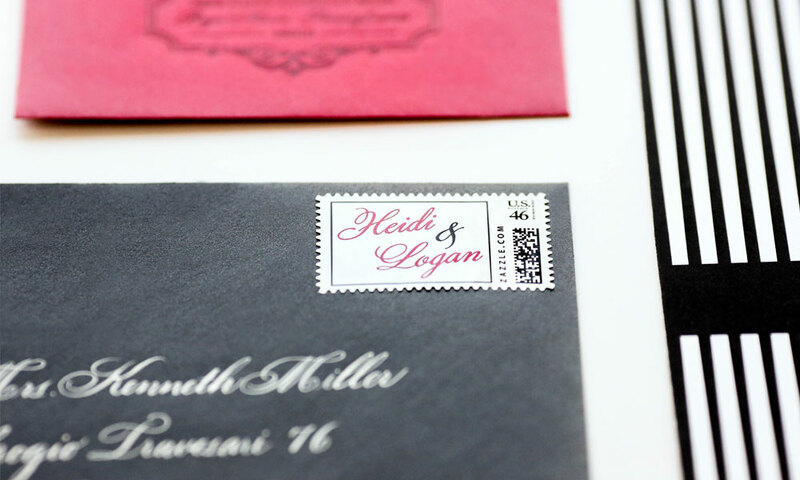 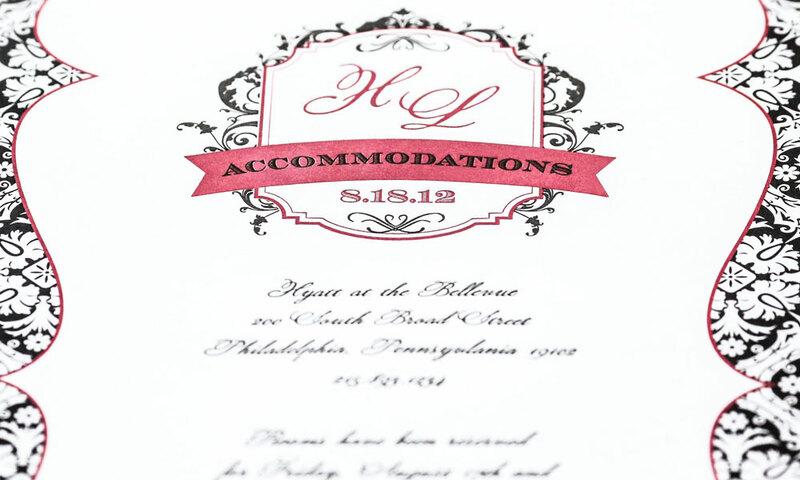 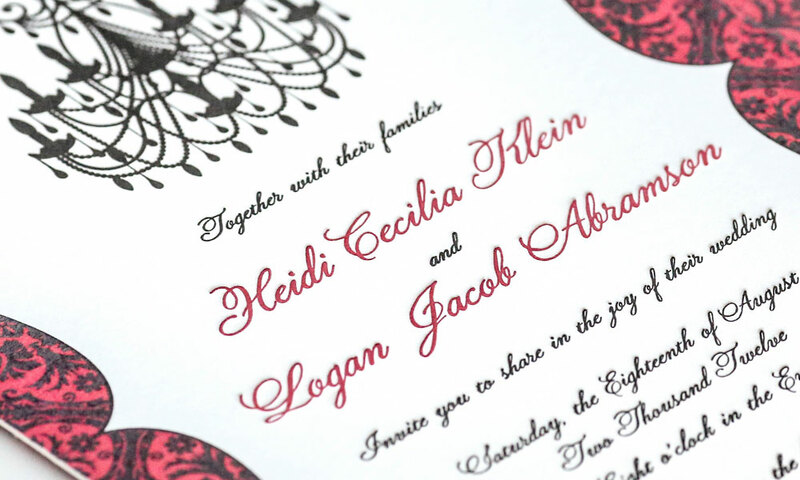 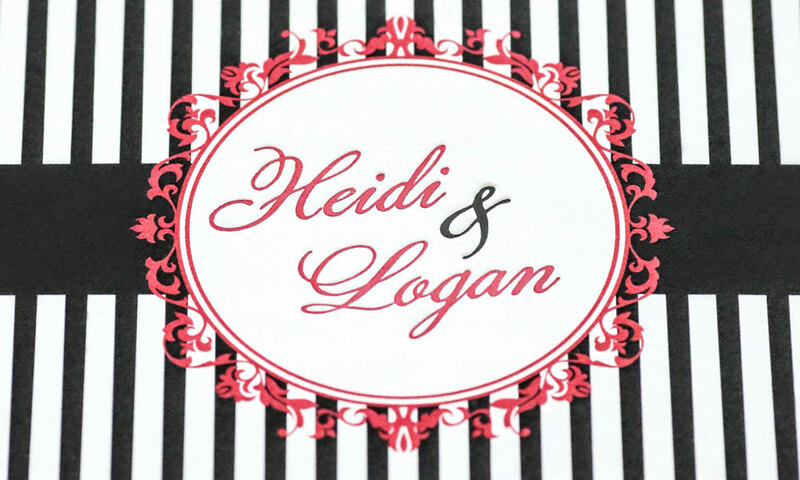 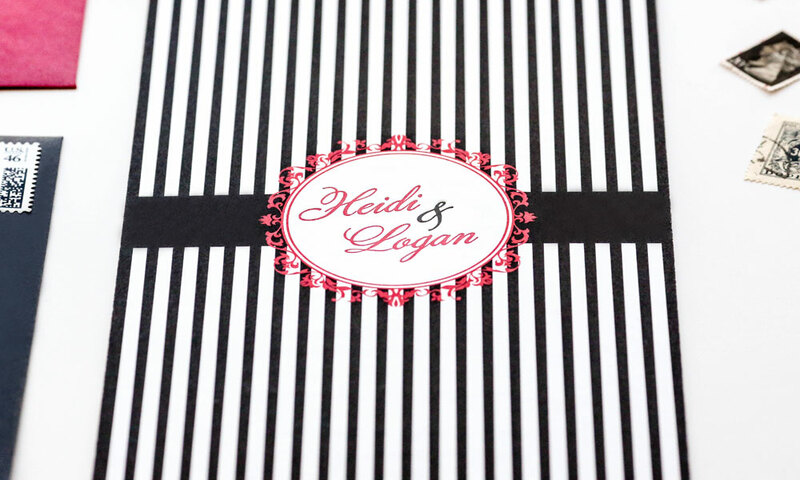 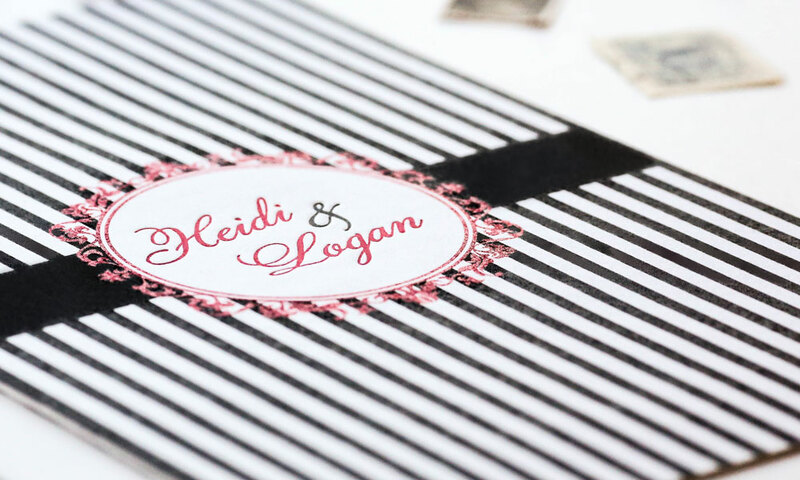 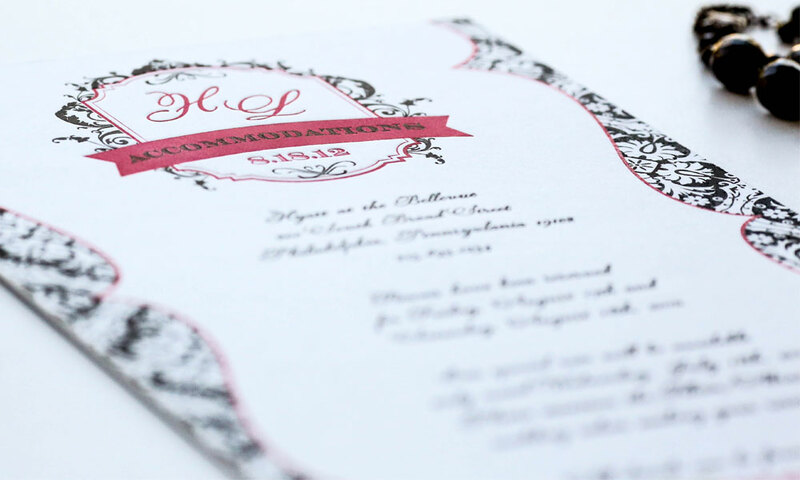 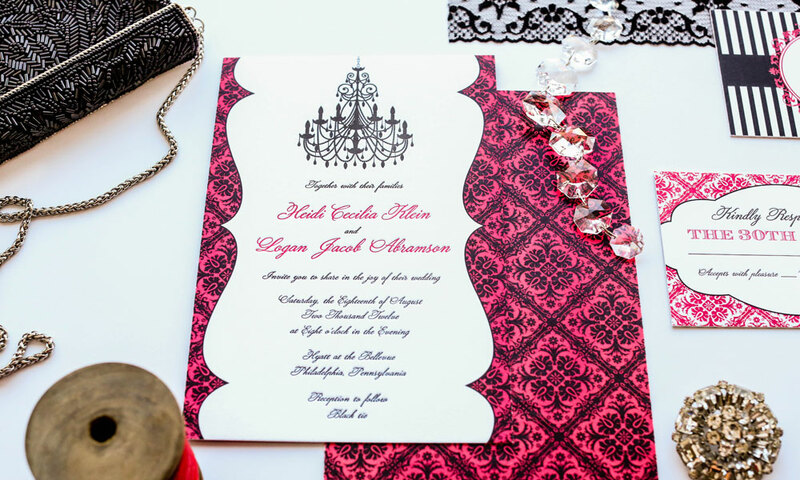 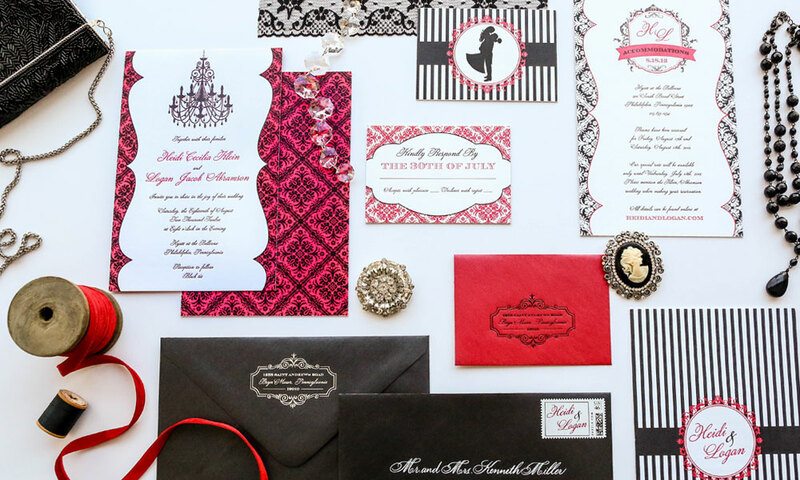 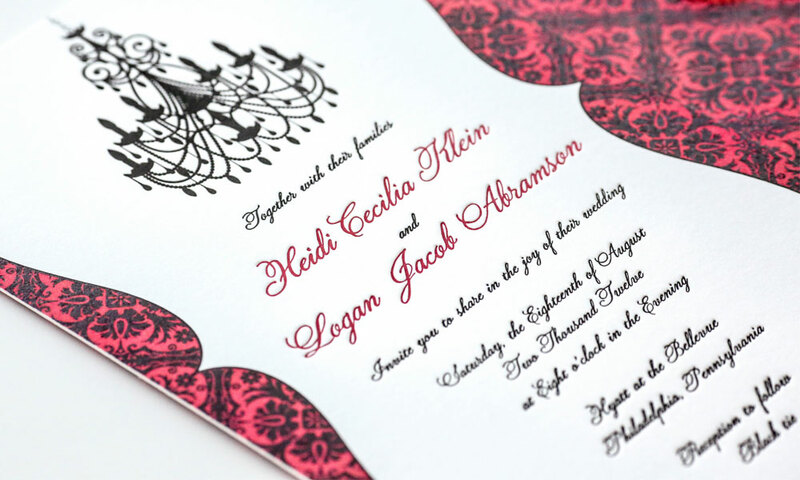 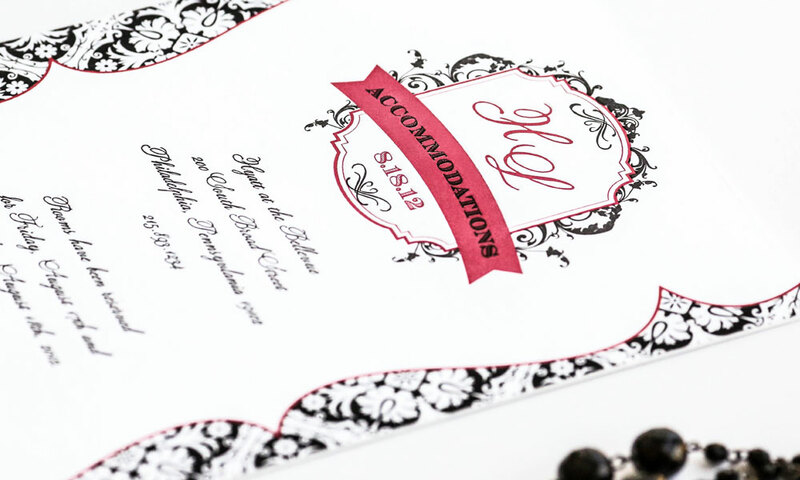 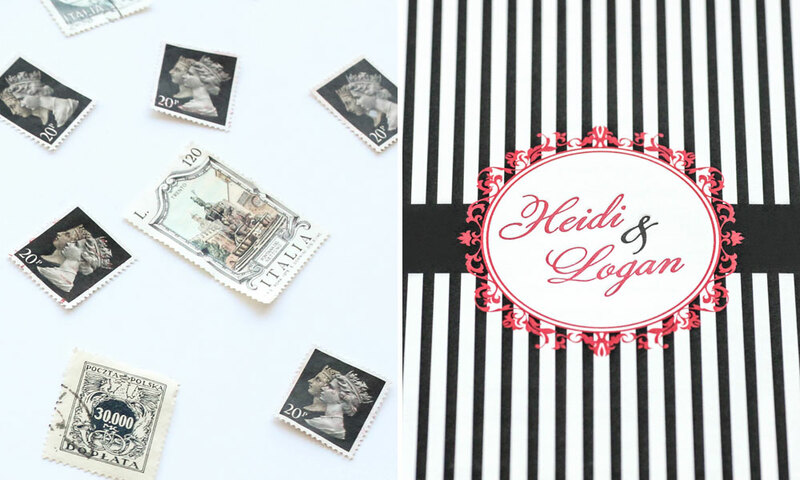 Intricate Venetian-inspired patterns adorn the edges of Heidi and Logan’s invitation suite items along with antique letterpress scripts. 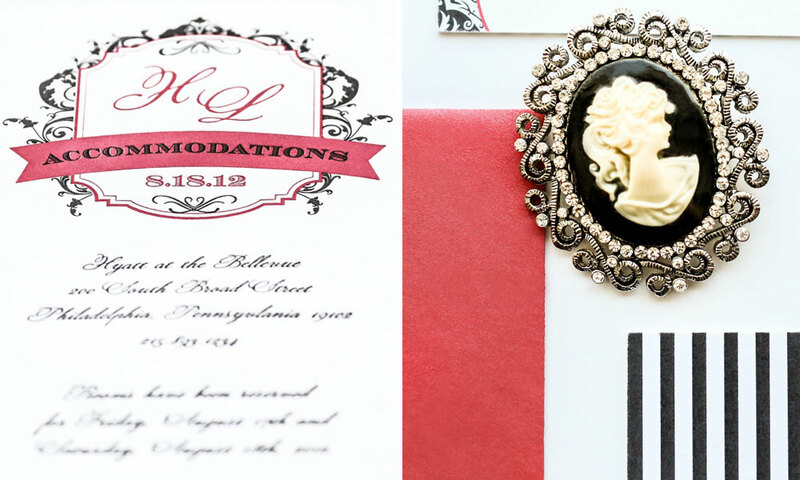 The design incorporates vintage grandeur with a chandelier, hints of blacks and reds and a lush custom monogram along with the bride and groom’s crest. 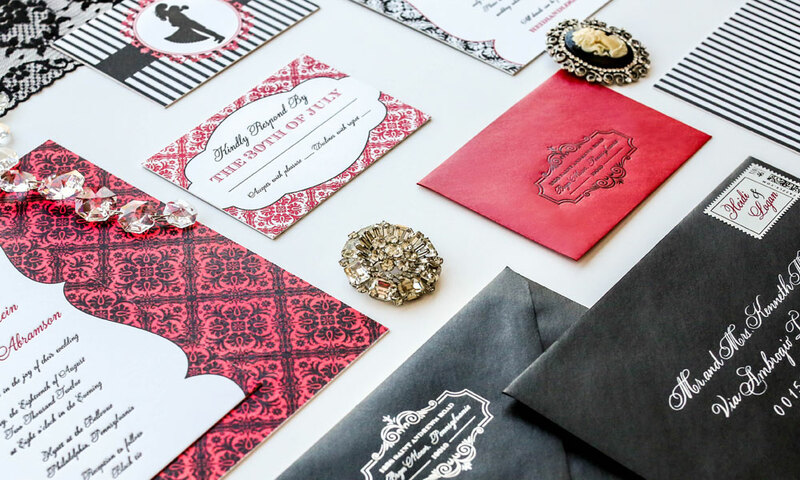 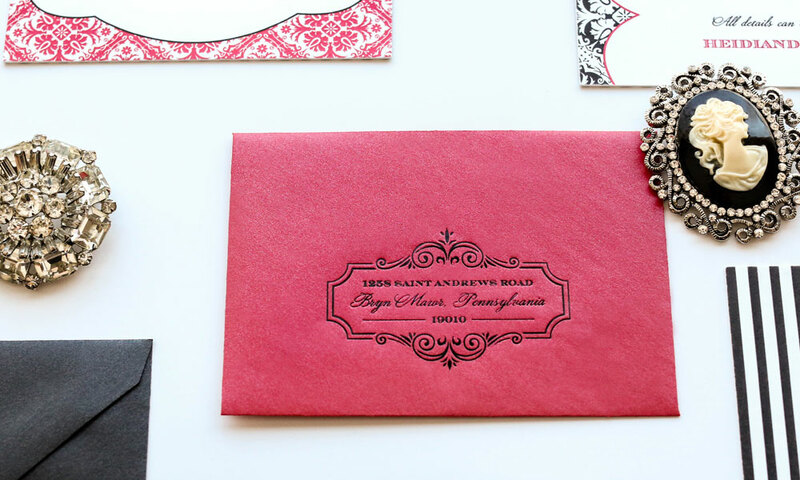 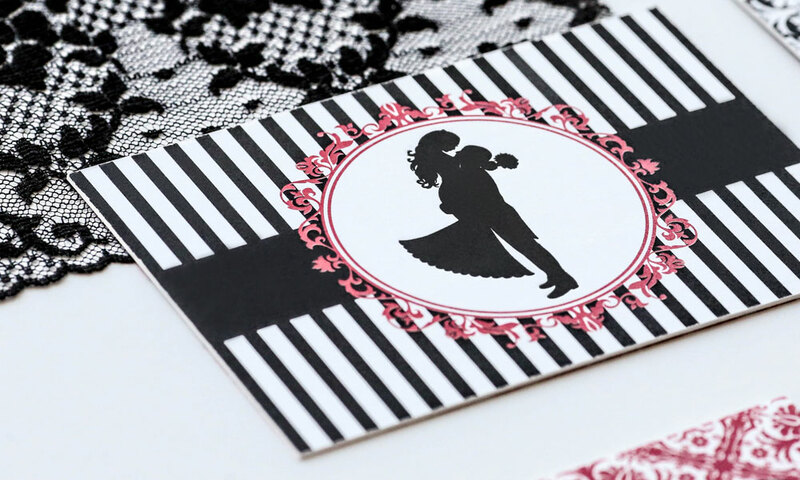 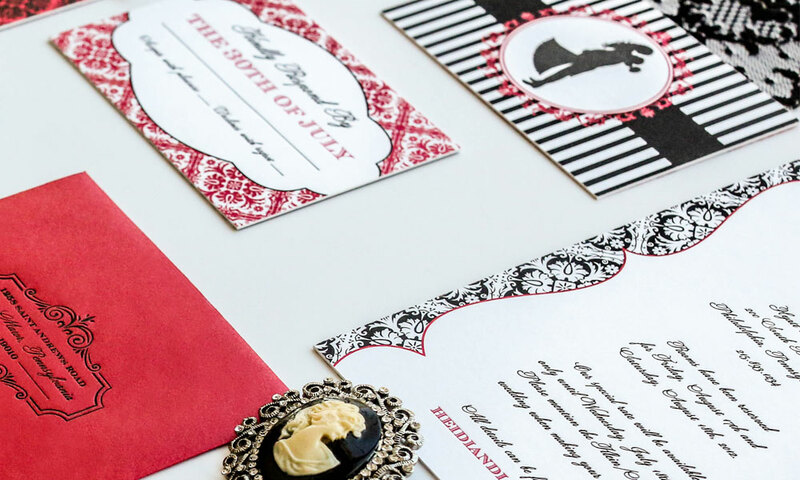 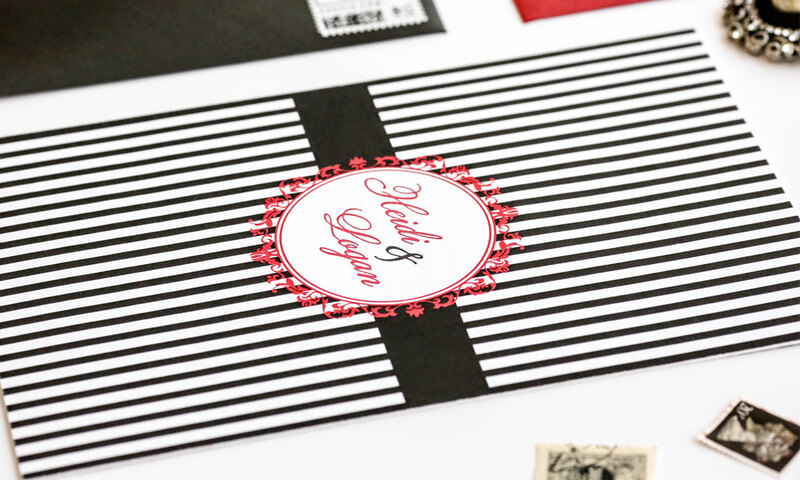 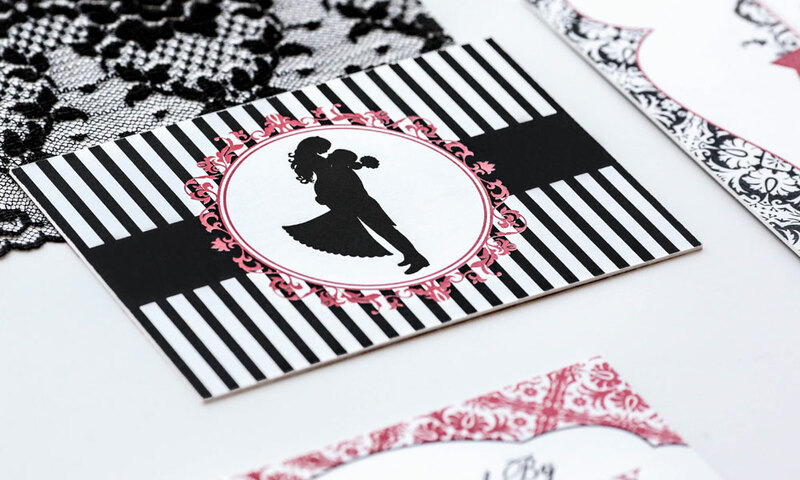 Reply cards get a romantic personalization with a custom-illustrated silhouette sweetly slipped inside shimmery, metallic red reply envelopes with a black foil stamped return address. 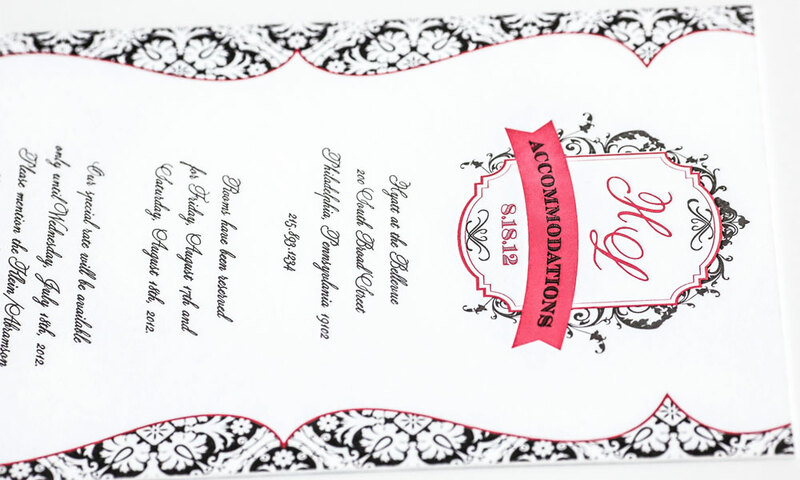 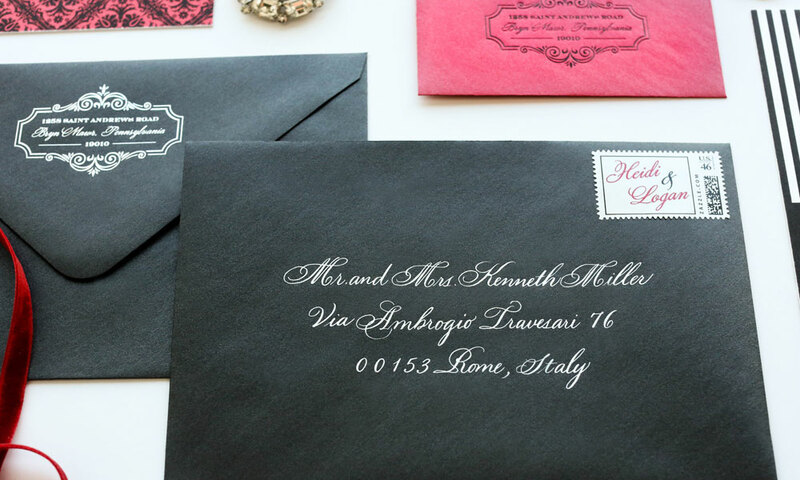 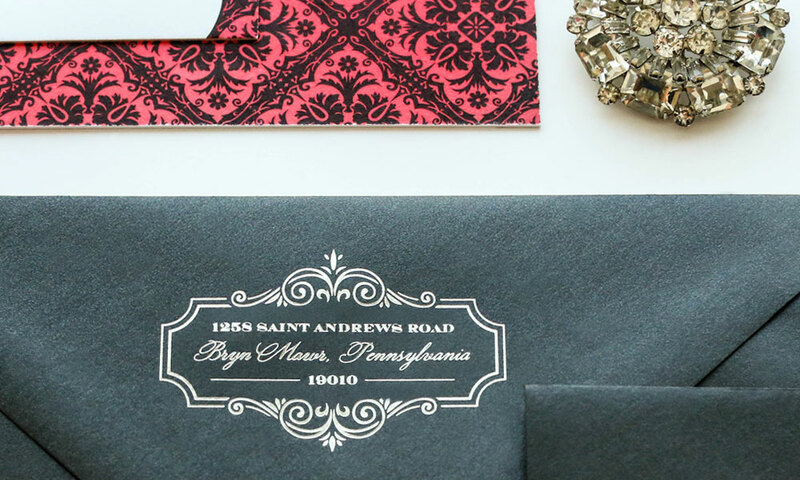 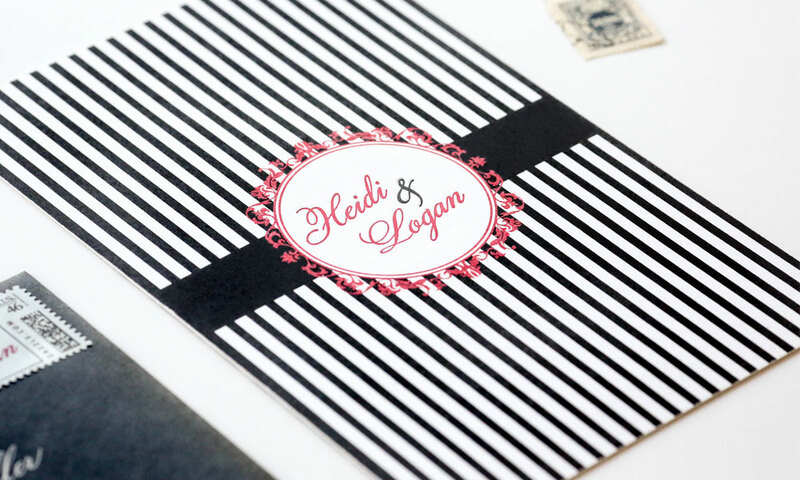 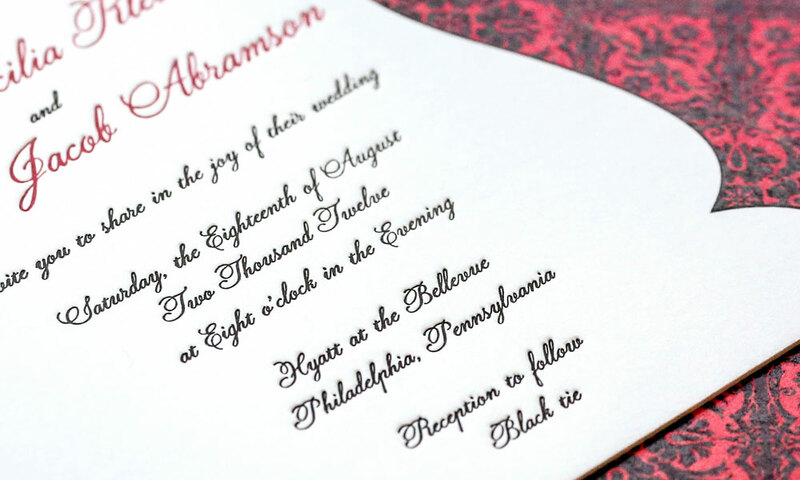 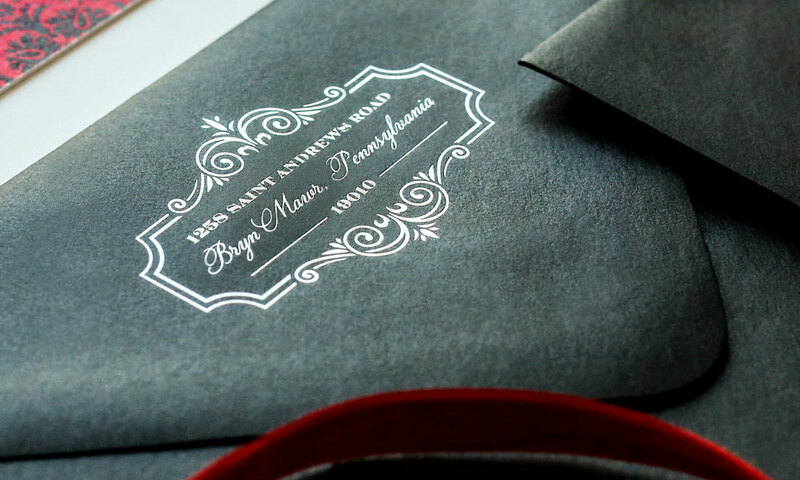 The wedding invitation suite was mailed in a metallic onyx envelope with a silver foil stamped return address, a custom monogram stamp featuring the bride and groom’s names and old-world white, handwritten calligraphy.